The Lithuanian guard has officially joined ASVEL. French squad ASVEL Villeurbanne made official the addition of veteran guard Mantas Kalnietis for the next season. 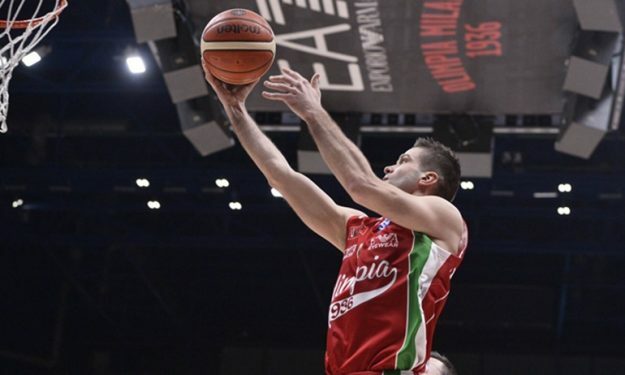 31-year-old Kalnietis arrives from Olimpia Milan, where last season he had 20 Turkish Airlines EuroLeague appearances. During those, he averaged 4.5 points, 1.8 rebounds and 2.1 assists in over 16 minutes per game. Kalnietis started his pro career in the club where he grew up, Zalgiris Kaunas, in 2005. After seven seasons there playing the EuroLeague, he moved to Russia to join Lokomotiv Kuban Krasnodar, with which he lifted the 7DAYS EuroCup title in 2013. After three seasons there, he was back to Zalgiris before moving to Italy to play with Milan in 2015 until last season. Kalnietis was also a member of the original ANGT winning team in 2003 with Zalgiris. He is also an international player with Lithuania and won a silver in the 2013 and 2015 EuroBasket and a bronze in the 2010 World Championships.